These classic rectangular plaque awards are crafted in 10mm jade glass. They boast thick bevelled edges and are set on a matching bevelled jade glass base. 6in tall. Supplied in a quality presentation box. 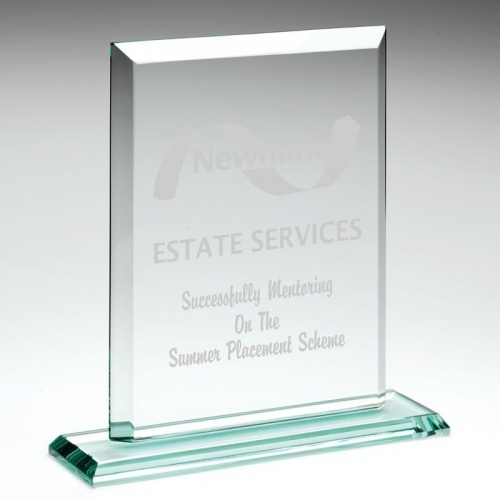 Can be engraved on the large flat front, or colour print option also available (please contact us for a quote for colour print). 7in Rectangular Plaque in 10mm Jade Glass, Supplied Boxed. 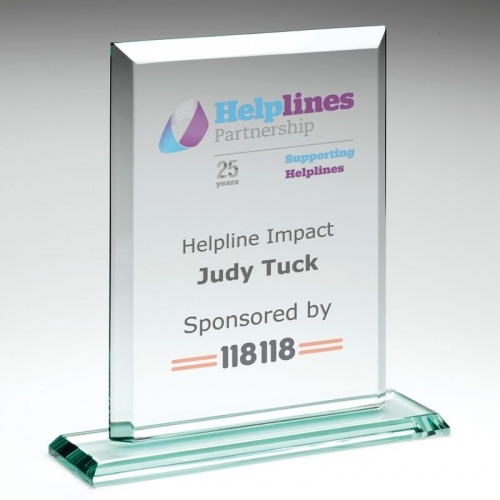 8in Rectangular Plaque in 10mm Jade Glass, Supplied Boxed.